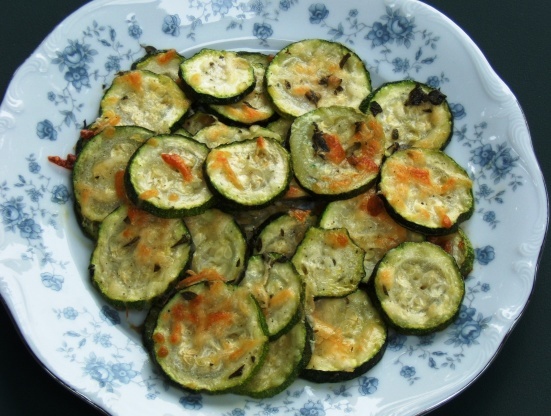 A very tasty way to prepare zucchini - and easy, too. Slice zucchini in 1/8 to 1/4 inch slices. Toss with melted butter and oregano. Arrange in a single layer on a greased baking sheet. Bake, uncovered, at 350 degrees F for 35-40 minutes.